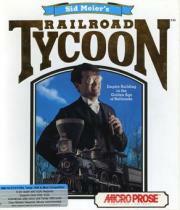 The objective of the game is to build and manage a railroad company by laying track, building stations, and buying and scheduling trains. The player acts a railway entrepreneur and may start companies in any of four geographic locales: the Western United States, Northeast United States, Great Britain, or Continental Europe. (wikipedia.org).